Research on the problem of clustering tends to be fragmented across the pattern recognition, database, data mining, and machine learning communities. 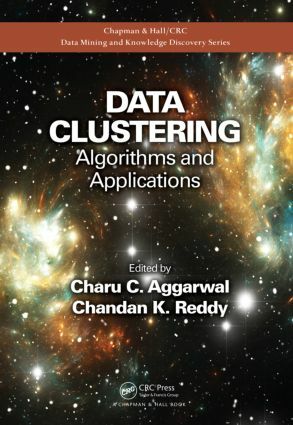 Addressing this problem in a unified way, Data Clustering: Algorithms and Applications provides complete coverage of the entire area of clustering, from basic methods to more refined and complex data clustering approaches. It pays special attention to recent issues in graphs, social networks, and other domains. In this book, top researchers from around the world explore the characteristics of clustering problems in a variety of application areas. They also explain how to glean detailed insight from the clustering process—including how to verify the quality of the underlying clusters—through supervision, human intervention, or the automated generation of alternative clusters.